We all need design tips whether we are a designer, developer or website owner. No matter what our job, we all have to present things and could do with advise on how to do so better. Enter “Make your design pop” a great little guide to small changes that make a big difference. However, the whole list is worth a read. 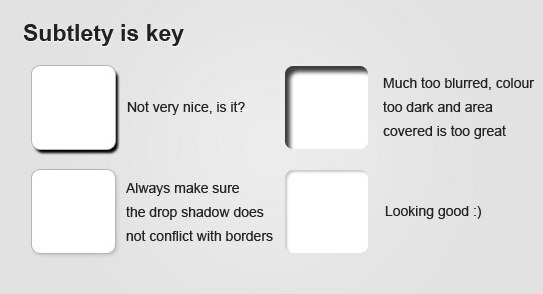 One other thing they could have included is ‘add some depth.’ Fortunately there is another blog post that deals with this ‘Six fundamental ways to add depth to your design.’ One thing I particularly liked in this post was there advice on shadows. Apparently subtlety is the key. Although I may struggle with this in life, I would have to agree that with design shadows at least, it is true. I am in the middle of writing a post about how frustrated web designers get with our clients and how to overcome the problem. I was therefore interested to see a post that looks at what frustrates clients about web designers. Although I am not sure I agree with every point raised in this post, the underlying message is spot on – as web designers we need to learn to communicate better. Too many web projects fail because their is a lack of communication. You want an agency that is always on the end of the phone, quick to respond to emails and constantly giving you feedback on the project. Both sides can learn from this lesson. Should we be designing in the browser? Outside of the IE6 controversy (which I am fed up of talking about) probably the biggest discussion point is whether we should be designing in the browser. Andy Clarke has been pushing hard for this approach and puts forward a good argument. However, others are concerned it could damage creativity. It is something we have debated extensively in Headscape. Our answer? – It depends. It’s not an either or decision. In my opinion (and that of the others at Headscape) you need to pick the right approach on a per project basis. If a client is switched on or the project requires a greater degree of creativity then design in a package like photoshop maybe the way to go. On the other hand if the website is more utilitarian and the client has trouble with things like liquid layout or progressive enhancement, then building in the browser may be better. That said, if you are going to build in the browser you might want to read 12 killer tips for designing in the browser. The article tackles font embedding, rounded corners, shadows, colour opacity and much more. Of course these are techniques useful to you whether you design in the browser or not. However, the article emphasises their importance in that context and even provides a summary argument for browser based design at the beginning. Remote user testing: Good or evil? Have you noticed how many remote user testing services have started to appear? Essentially these services allow you to video users interacting with your website and completing tasks you set. I have to confess that until recently I rejected the idea out of hand. It simply could not compare with face to face user testing where you could ask questions and respond to users actions. However, after reading ‘Unmoderated, Remote Usability Testing: Good or Evil?’ I have modified my view. I still believe that remote testing cannot replace face to face testing. However, I do now see it as complementary. It’s quantitative testing – Typically people only test between 5-8 users face to face. Although we know this is enough to find most problems, sometimes others need convincing. Remote testing allows you to test considerably more users and build up a statistical perspective. Potentially it can be more realistic – Some remote testing services allow you to intercept real users who are completing real tasks on your site and ask them if they are willing partake in remote testing. This means that unlike traditional testing they are considerably more motivated because they are completing their own tasks. They are also doing so in their natural environment and on their own PC. If like me you have dismissed remote testing out of hand, or if you have not encountered it before, definitely take the time to read this post. They also have an excellent list of remote testing services. Remy Sharp is the creator of jQuery for Designers, a superb collection of screencasts and tutorials for adding jquery to your website. 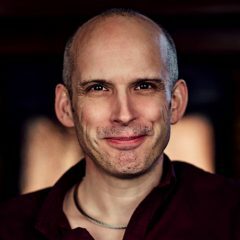 The website owners manual by Paul Boag is targeted to help those who own, run or manage web sites make them more successful. A quiet and humble man Paul has attempted to deliver all the lessons learned through more than 10 years of experience, at all stages of a site lifecycle, into a single resource. The result is a book that will help those responsible for websites be as successful as they can. Covering topics ranging from selecting the right web agency all the way through to planning for the future, not all content might be appropriate for all website owners, but if the desired audience pick up this book, I don’t think there a single reader that will not learn something and become more successful in their role because of this book. The book contains succinct well considered advice, which will not overwhelm any reader. I thought there might not be quite enough in depth information, or further resources, provided some sections to really make a difference, like reviewing site analytics. The book could have also better proofed, but this is a matter for the publishers. Not to mention one of the images depicting a developer in a tie. Although not all chapters will be relevant to all website owners, and any experienced website owner will probably have a lot of the advice and recommendations in place, there is still an awful lot to either learn, or be reminded of while running your website. The topics covered in the book do a good job of providing a feel for the requirements of each stage in the web site process. Some really useful content includes stress free planning, the perfect team, decoding technobabble and becoming number 1 on google. firstly, Stress free planning, where in the “picture your users” section, Paul explains how you can research properly, prioritize your users and use fictional personas to better understand and relate to your target audience. The Perfect team does an excellent job of explaining why a brief is so vital, even for small changes. Including an annotated example brief for fictional client “The Joke Factory” to explain why each part of a brief is so important. Selecting the right people to work on your website might be the most important (and expensive) decision you make in the whole life of your website so it was good to see the steps Assessing proposals, interviewing the short list and evaluating agencies (especially with advice on talking to references). Decoding technobabble is a problem for all us developers, so despite Paul claiming web developers are going to hate this chapter, I know my clients won’t hate me reading it. Not using simple terms to explain how a website works and introducing concepts like hosting is something I know I frustrate people I work with, but not for much longer. Whilst reading the becoming number 1 on google section in the chapter driving traffic I was very pleased to read Paul explains about Black hat search marketing methods and why site owners should steer well clear of these underhand techniques. In Planning for the future, I can take a lot from concepts such as Microformats, APIs and alternative devices concisely explained direct to my clients. I really think this book is a must for any person responsible for a website, due to the wide range of topics covered. Although as I said, not all chapters will be relevant to all website owners, there will be more than enough for the book to be a real valuable resource. I like to think of it as a fully fledged consultant sitting on my bookshelf. There were real moments of enlightenment about how I can help clients really grasp the requirements behind an effective site. I hope this will dramatically improve my client communication using Paul’s thorough but clear explanations of the concepts required for a successful website. So that’s what I thought about the website owners manual, but its only the tip of the iceberg, and each person that reads the book will take learn something different, so I urge you to buy it and see what it can do for you.